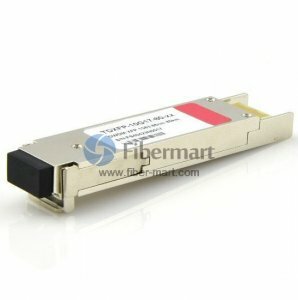 Fiber-Mart DWDM XFP Small Form Factor 10Gb/s transceivers comply with the current XFP Multi-Source Agreement (MSA) Specification. They support DWDM 10Gb/s SONET/SDH, DWDM 10-Gigabit Ethernet and 10-Gigabit Fiber Channel applications. Digital diagnostics functions are available via a 2-wire serial interface, as specified in the XFP MSA. Our DWDM XFP modules are 100% compatible with original products, and they can transmit and receive optical data over single fiber for link length of 40km up to 80km transmission on single-mode fiber.